Sometimes certain things happen out of the blue. 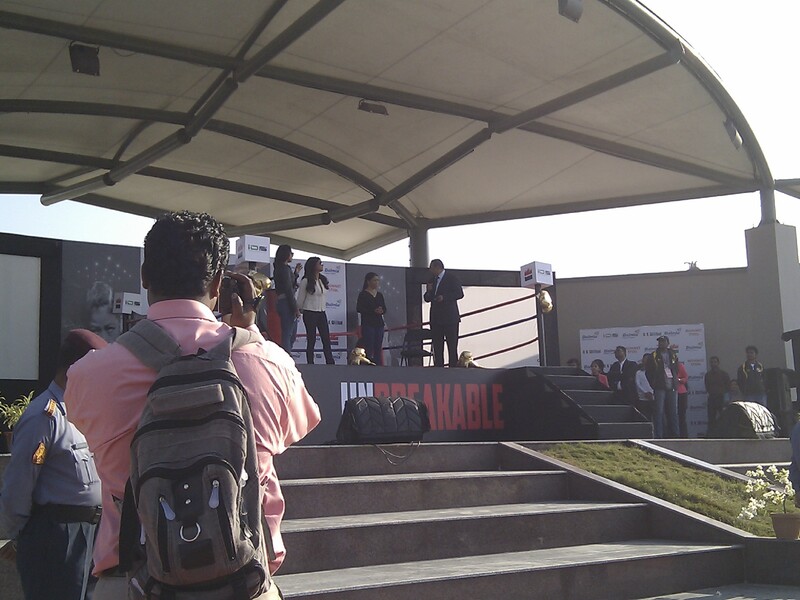 My dad had told me from beforehand that on 15th of this month, Dalmia Bharat Cement alongwith Sushmita Sen (former Miss Universe and current Bollywood actress) were launching the book “Unbreakable” by Mary Kom (female Indian boxer) in Assam and the North-East India. The event was to take place at IIT Guwahati prior to the Inter-IIT sports meet opening ceremony. But, I wasn’t really expecting what it actually turned out to be. 15th came. I was learning Python at dad’s workplace. Suddenly dad bursts into the room and hurriedly takes me home at 1 PM. After a really quick lunch me, mom and dad hurries off to the open-air stage in the cricket field. With dad being a faculty, we were sitting in the VIP zone. First the announcer greeted the crowd, followed by the usual oohs and aahs. 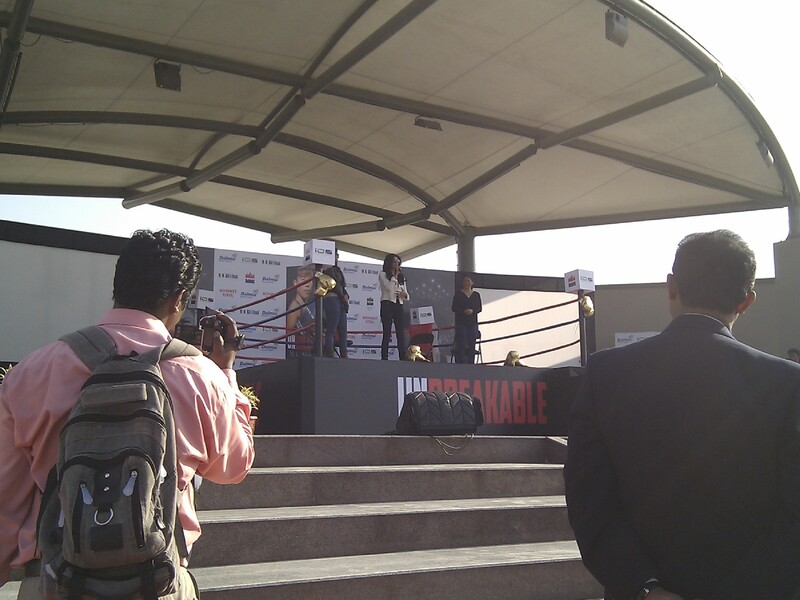 Then comes in Sushmita Sen and cracks a couple of jokes with the crowd. 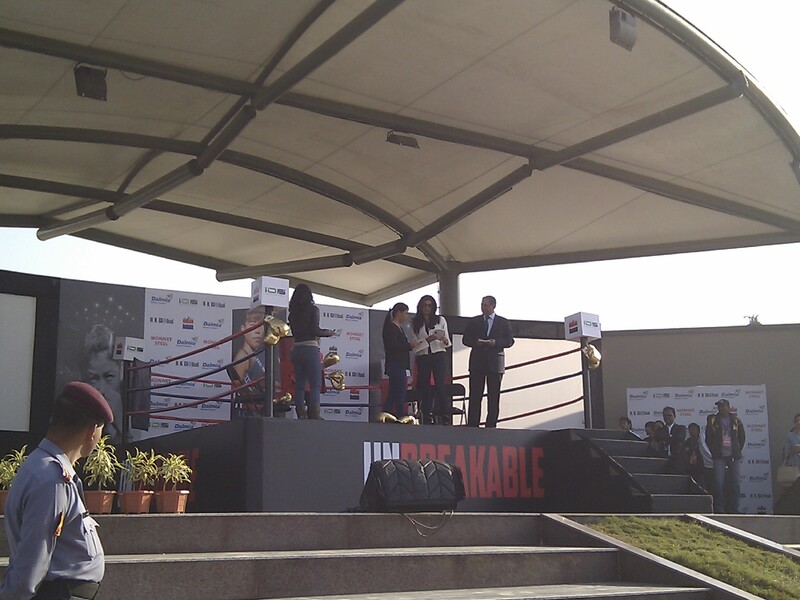 Mary Kom is then called in and together they give a synopsis of the book. This was followed by Mary Kom who narrated her struggle in the boxing career, albeit in broken English. 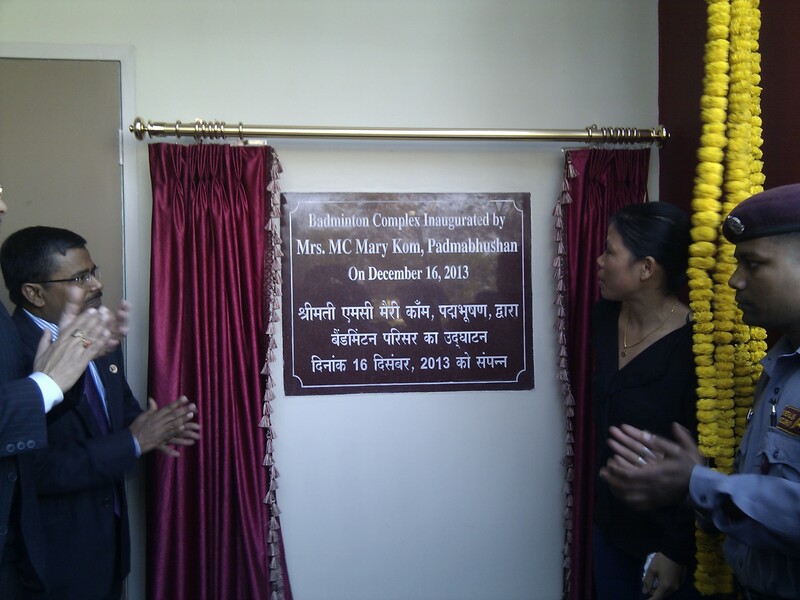 This was followed by a speech by the CEO of Dalmia Cement. After that, the people on the stage wore golden coloured gloves and broke down a cardboard punching bag, out of which two copies of Mary’s book fell out. In this manner the book was launched. This was followed by signing and distributing copies to everyone present on the stage. Finally Mary and Sushmita come down from the stage to greet the crowd. I get this opportunity and stand really close to both of them. Before I could really speak to them, the insane press people break the bounds and come into the VIP area. Some even jumped over the fence. Before I could think or decide anything, I was squashed in the crowd. The press guys surrounded them from all sides. Some guys even stood up on the chairs and some even dirtied the sofa with their shoes. Watching the sheer craze, it felt like some sale was going on. Needless to say I was stuck. Now don’t ask why I was not able to take photos with either of them. Sushmita is rather talkative and really good in public speaking. She started to deliver a long lecture to the media about Mary’s twins and Mary’s projects for the underprivileged. 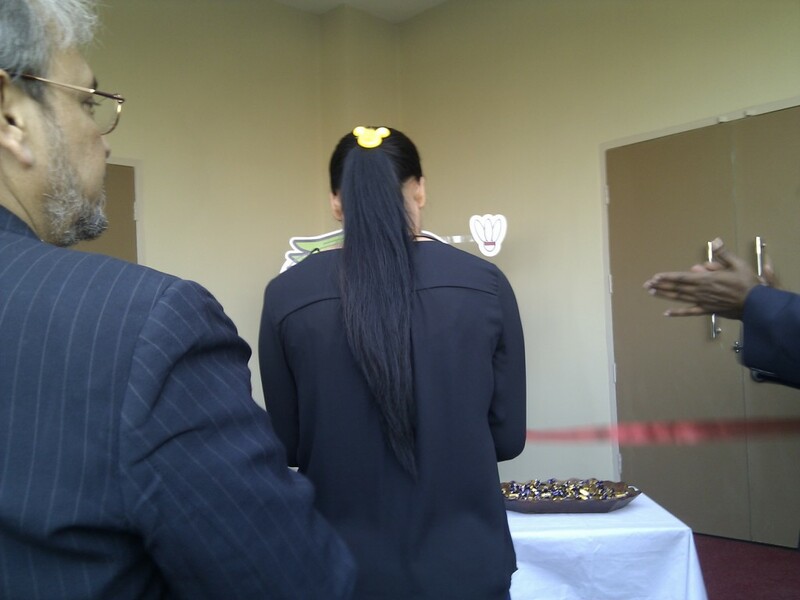 After that, me and my parents headed to see the newly constructed indoor badminton court being inaugurated by Mary Kom. 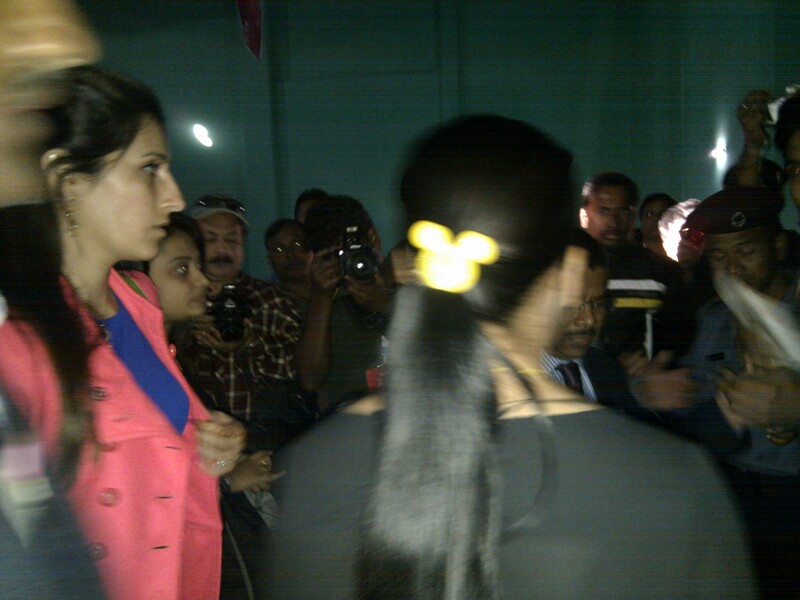 It was here that I actually got to speak to her a bit and shake hands with her. Mary toured the court. In the meanwhile Sushmita got into a BMW SUV, waved at everyone and then left the spot. Finally, the everyone moved on to the spot where the remaining events were taking place. Finally, we had the opening ceremony of the Inter-IIT sports meet, which I’m going to describe later. The fireworks at the end of the day were indeed beautiful. Anyway, seeing Mary and Sushmita together, and that too so closely in person, is something not less than a lifetime experience. What do you say?